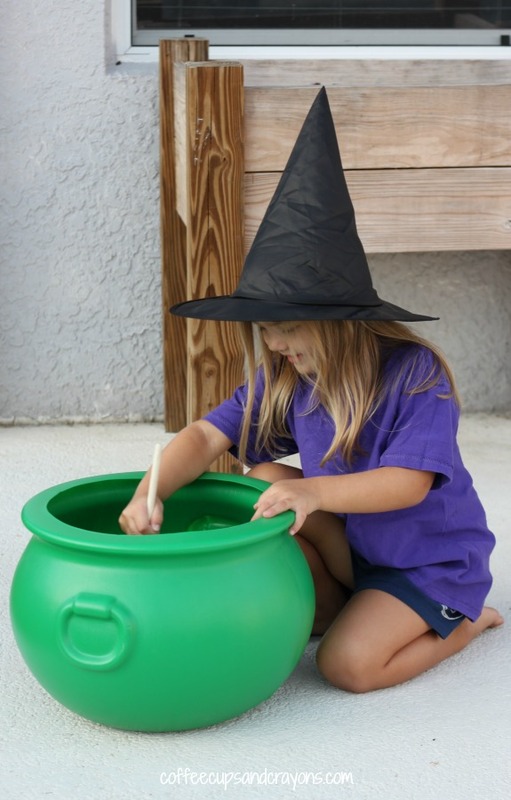 Halloween is the perfect time for a slimy, messy sensory bin for kids! For this month’s Virtual Book Club for Kids post we read What’s in the Witch’s Kitchen by Nick Sharratt and then pretended to cook up some of the icky things we read about in the book. The story is an engaging lift-the-flap style book with two different choices on each page, one normal and one gross. The kids really enjoyed the silly things that encountered in the witch’s kitchen and giggle each time we read it. 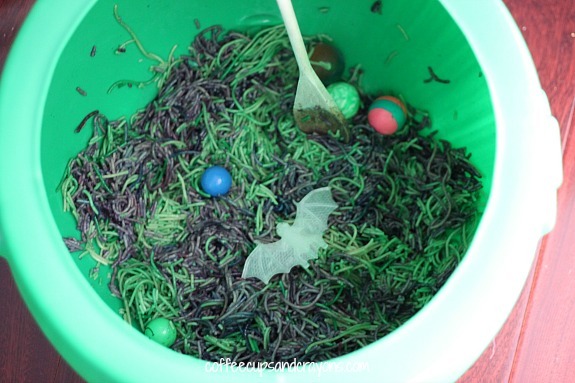 We decided we were going to find our own gross witch ingredients to pretend to cook with and came up with the idea of a slimy spaghetti sensory bin. They thought the spaghetti could be like the snakes in the story. 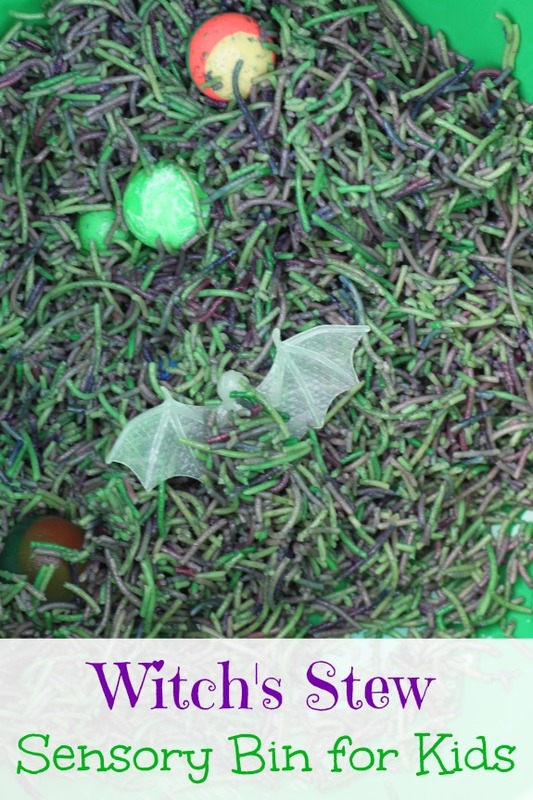 The kids also added glow in the dark bats, plastic spiders, and bouncy balls as frog spawn to their witch’s stew! They had lots of fun pretending and being silly with the stew! The older two dove right in to touch and explore everything, but my youngest preferred to use the spoon to mix the stew. 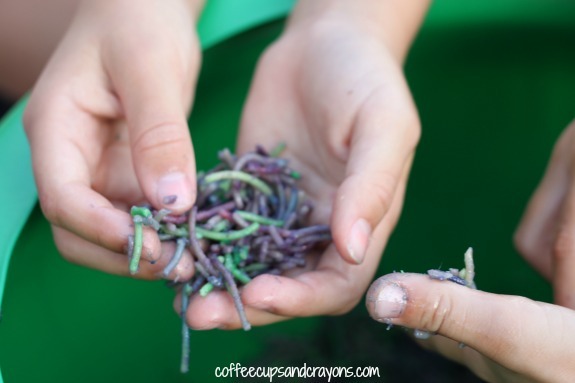 This slimy spaghetti sensory bin was a great way to extend the story! What is your favorite Nick Sharratt book? If you have blogged about it, we’d love for you to link up your post in the linky below! Link up only posts inspired by Nick Sharratt that share children’s book inspired crafts, activities, recipes, etc. Any other posts will be deleted.